Lady Gaga’s “Bad Romance” music video is finally out and it’s CRAZZZZZZZY, but you knew that lol. The video was directed by ‘I Am Legend’ filmmaker Francis Lawrence, Gaga told MTV of one her scenes, “There’s this one shot in the video where I get kidnapped by supermodels. 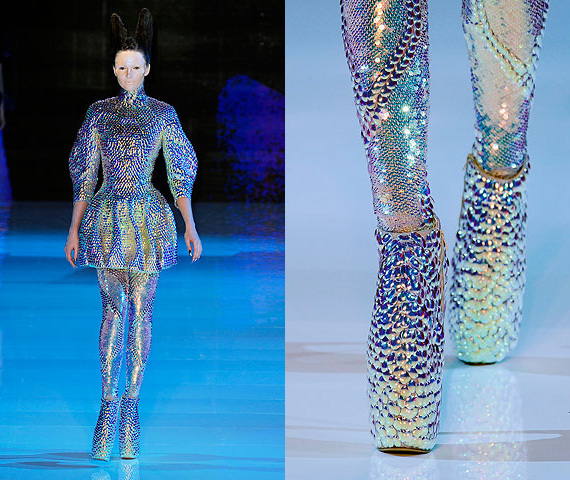 I’m washing away my sins and they shove vodka down my throat to drug me up before they sell me off to the Russian mafia.” Amazing fashion, crazy shoes, googly eyes, razor blade sunglasses and Alexander McQueen Spring 2010. AMAZING and full of surprises, love Gaga!